Well it’s good to see Alex Jones not taking things quite so seriously. He puts a lot of information out there on a daily basis and I still check in on him from time to time. I have to admit that after you have poked your head down the rabbit hole a few times , you have to keep going deeper and deeper to keep your interest up. And while the Geo Political aspect of this little show we call planet earth is quite extensive and interesting, I tend more towards the big picture stuff and I always have , that’s just my highest joy. 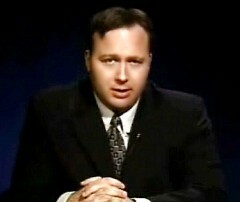 That being said , when I do want to get the latest gossip on what the”New World Order” is doing , or what the Rockefellers are doing to the Rothschild and how that effects George Soros and his plan of world dominance , then Alex Jones is clearly the choice and I respect his work and appreciate his contribution. Of course there is a bit of showmanship in his work and he does like to ham it up a bit , which makes it much more palatable. I mean come on , from a greater perspective were are infinite beings, lets not get to morose about all this stuff, its all good fun for omnipotent beings like ourselves. So his latest Dark Satire on the whole out of control police state / home land security apparatus is pretty funny. I mean its laughable even without Alex making fun of it. And quite frankly I don’t think anyone even pays much attention to all the FBI and DHS memos, and if they are they need to get a life which is the point Alex’s skit is making here. I’m just glad he’s having fun with it , this is how we will conquer the New World Order , we simply keep laughing at them, until they finally realize ….THE JOKES ON THEM. So take a breath , quit taking yourself or this reality too seriously , and watch Alex do his thing, its good for a few much needed giggles. Well here it is November 2011 and the quickening is upon us in full force. The novelty as Terrence Mckenna was so fond of calling it is increasing exponentially. Yes even Alex Jones has moved to a new level. 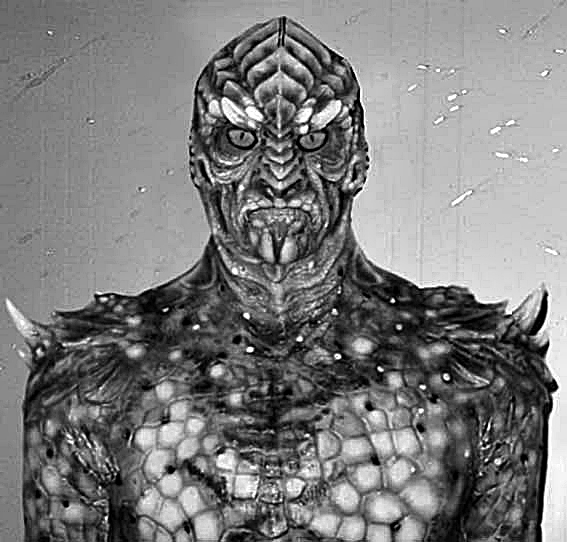 In a recent interview on the Alex Jones show David Icke goes into great detail about the role the reptilians or Annunaki have played in the manipulation of the human race. Some of you out there may know that years ago when Alex Jones originally interviewed David Icke he basically laughed at David and called him crazy becasue of his ideas about the reptilians. Then back in 2008 when things started to heat up again Alex was little more open minded. In this recent interview Alex is finally starting to openly acknowledge that David may be on to something, as Alex puts it. Its quite a good interview as Alex Lets David speak uninterrupted for the most part. And David is even more articulate than usual in describing the relationship between the Illuminati blood lines and their genetic connection to the reptilian or Chitauri. The main theme of the interview centers around this bloodlines complete lack of empathy for other fellow beings. David says the code for empathy has been deleted from their DNA by design of course. Which makes sense if you want to rule without concern for human life, you don’t want your minions to have any feelings what so ever for their subjects. We have come a long way in the last 3 years , when self proclaimed christian Alex Jones starts confirming the possibility of Annunaki , reptilians or the Nephilim as they are referred to in the bible. The light of the Apocalypse is shining brightly , lighting up every corner of the room , there is no where for these creatures to hide from infinite consciousness. As David said once you start seeing things from this greater perspective there systems or constructs have no control over you. They can only deceive the body mind, they cannot deceive consciousness itself. It seems more people are bridging the chasm as David puts it between what we think the world is like and what is actually going on. It is quite a lot to process that’s for sure ,this re-awakening , we have all been asleep for a long time ,but once you get the hang of seeing things from a greater perspective it all starts to make sense and the fear fades away. So check out some Classic Icke & Jones , you wont be disappointed.